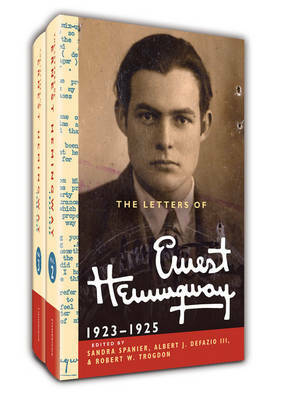 The Letters of Ernest Hemingway document the life and creative development of a gifted artist and legendary personality whose work would both reflect and transform his times. Volume 2 (1923-1925) follows Hemingway's literary apprenticeship in expatriate Paris and the experiences that forged his earliest works, including the landmark novel The Sun also Rises (1926). It features a never-before-published short story that was rejected by Vanity Fair. Volume 3 (1926-1929) shows a rising star as he emerges from the literary Left Bank of Paris and moves into the American mainstream. As this collection of volumes ends, Hemingway is setting off from Key West to return to Paris and standing on the cusp of celebrity as one of the major writers of his time.